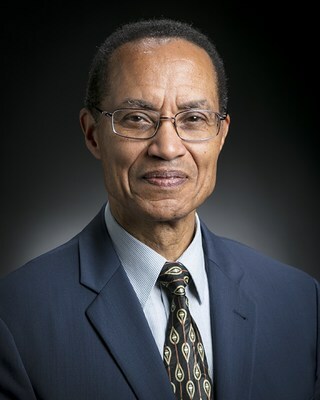 FALLS CHURCH, Va., March 6, 2019 /PRNewswire/ -- The board of directors of General Dynamics (NYSE: GD) has elected Cecil D. Haney to be a director of the corporation, effective March 6. Haney, age 63, is a retired U.S. Navy admiral who previously served as commander of the United States Strategic Command, where he was responsible for the global command and control of U.S. strategic forces including nuclear forces, missile defense, space, cyberspace and electronic warfare. He also served as the commander of the U.S. Pacific Fleet, leading the U.S. Navy's operations from the West Coast of the United States to the Indian Ocean. A career U.S. Navy submariner, Haney held a series of leadership positions in the submarine force and in joint assignments during his nearly four decades of service. He also served as a member of the Congressionally-mandated Military Leadership Diversity Commission. He retired from the Navy in 2017. Haney serves on the Johns Hopkins University Applied Physics Board of Managers, the Naval Studies Board of the National Academy of Sciences, the Center for New American Security board of directors, and as co-chair for the China-U.S. Dialogue on Strategic Nuclear Dynamics for the Pacific Forum. "Cecil's wealth of experience as a national security leader will help General Dynamics continue to deliver the products and services our nation needs to remain a preeminent global power," said Phebe Novakovic, chairman and chief executive officer. "He is a visionary leader and thinker who will be a valuable addition to our board of directors." A graduate of the U.S. Naval Academy, Haney also holds Master's degrees in National Security Strategy from the National Defense University and in Engineering Acoustics and System Technology from the Naval Post Graduate School. Among his many commendations and medals, Haney was a 1998 recipient of the Vice Admiral James Bond Stockdale Leadership Award. General Dynamics, headquartered in Falls Church, Va., is a global aerospace and defense company that offers a broad portfolio of products and services in business aviation; combat vehicles, weapons systems and munitions; IT services; C4ISR solutions; and shipbuilding and ship repair. General Dynamics employs more than 100,000 people worldwide. More information about the company is available at www.generaldynamics.com.